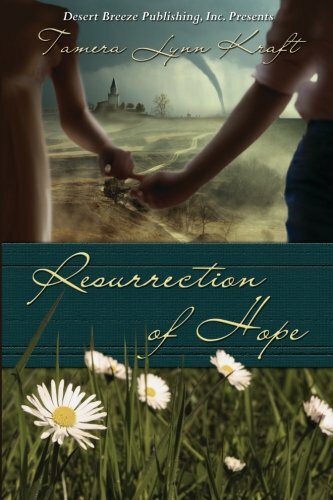 Resurrection Of Hope by Tamera Lynn Kraft is a sweet Christian historical romance which I really loved. God never leaves us, even when we do not feel Him, He is there. He loves us. “God is mad at me.” This is a lie from the enemy. No matter what life throws at us, we can be sure that God is always with us. The storms of life are seen in the actual storm as the literary device of pathetic fallacy is used. In the chaos and the dark, we may lose sight of God but He never loses sight of us. If we are stumbling around feeling lost, God will search until He finds us. No one is meant to do life in isolation. We need to help others and we need them to help us. We were designed for community. Guilt will always weigh us down. It is a burden we were never meant to carry. We need to give our guilt to God and receive his forgiveness. God is the God of new beginnings. In Him we can have hope. “I trust Him, so I have hope.” Hope means we can face the future whatever it brings. There are the difficult subjects of miscarriage, stillbirth and suicidal thoughts. These are sensitively portrayed. God answers prayer. Not always in the way we want but He always answers. Resurrection Of Hope was a great little read about the faithfulness of God and the love He has for His people. Thanks so much for this wonderful review.